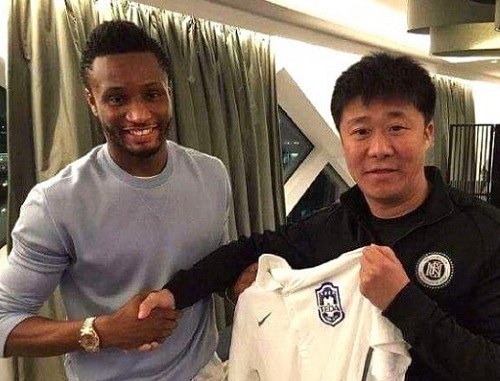 Chelsea’s John Obi Mikel has arrived in China, ahead of his move to Tianjin TEDA. The Super Eagles captain has undergone medicals with the Chinese Super League club and is set to sign a £140,000-per-week deal. TEDA have beaten off competition from Marseille and Valencia to sign the 29-year-old. The transfer is expected to be announced early next week and the midfielder has already received an emotional farewell from a Blues supporter in Ukraine. Mikel Obi has just six months left on his deal at Stamford Bridge, but has been given permission to speak to clubs since December, with Chelsea willing to let him go for free. The 29-year-old has not played a single game under Antonio Conte, who took over as manager last summer.